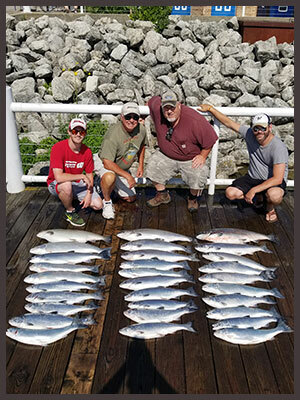 Fox Brothers Charter Service has been providing successful sport fishing excursions from the harbor of Port Washington, Wisconsin for 45 years. 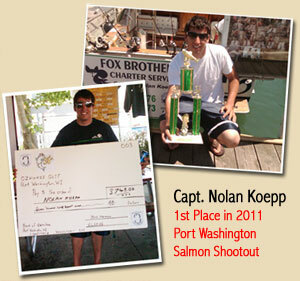 Some of the finest salmon and trout fishing is available just outside the breakwaters of this picturesque harbor. 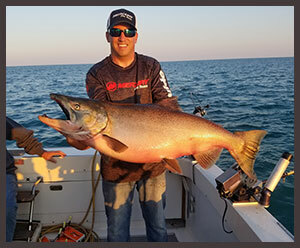 This city has many accommodations to make your stay more enjoyable, including fine restaurants, a harbor side hotel, and a nearby smokehouse offering just one of the many great ways to prepare your freshly caught fish. 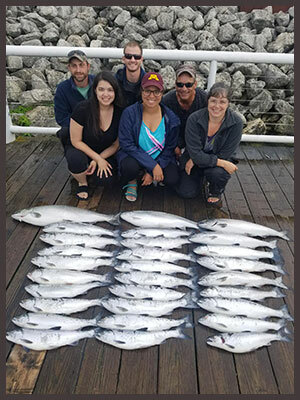 The Lake Michigan fishing experience can be enjoyed by everyone! It's a great way to spend a day entertaining business associates, relaxing with friends, or treating your family to something special. 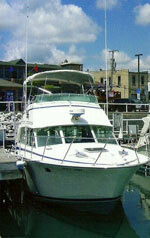 Docked in picturesque Port Washington Wisconsin, which offers great charter fishing as well as tourist attractions. 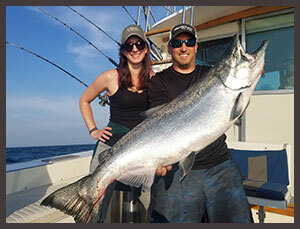 38 feet in length, and 14 feet wide to offer a comfortable safe charter fishing adventure in whatever sea condition Lake Michigan offers. Large indoor area with a couch for comfort, as well as an ultra clean bathroom with running water for your convenience. 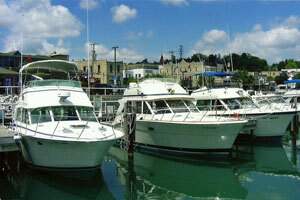 Equipped with state-of-the-art charter fishing equipment such as Garmin GPS, Furuno Radar, and Sonar. 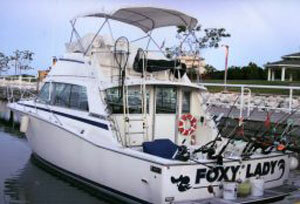 She is outfitted with Vector down riggers, as well as Lee outriggers to get the baits to the desired depth of fishing, and capable of trolling 20 fishing rods with ease.